Easy to find what I was looking for and quick delivery. Excellent! ..
Spring is on its way, with its magical variety of sunshine and showers. Children love being able to bound around unencumbered by bulky winter coats, but they still need protection from chilly moments. Over thousands of years another little creature, the lamb, has evolved the perfect clothing for jumping around in spring. Wool. The unique structure of wool fibres mean they are able to help the body stay warm when its cold and keep cool when its hot. Here are Cambridge Baby's tips for dressing your child/baby in spring. A brightly coloured merino vest is perfect for spring. It can be worn as a top when its warm and under a jumper at chillier moments. It's thermoregulating properties help keep your child's body at a constant, comfortable temperature as they change activities. It's antibacterial and dirt resistant properties mean it doesn't need to be washed everyday - wear then hang to air and brush off any spills. They're not totally food proof though so, if your child is a particularly messy eater, or wipes lots of yucky things on their sleeves, I'd recommend wearing a bib/napkin - muslin squares make good bibs - and opting for a short sleeved vest, or rolling sleeves up at meal times. Most merino wool vests and tops though are now machine-washable at 30C and above including those in the photos. Layering is the key to Spring dressing. A natural wool fleece that can be easily taken off when it gets warm is useful all year round in a variable climate like the UK, and is light and not bulky. The best thing about wool as that its breathable so you don't overheat in the same way. By the time its warm enough for your child to want to take off the fleece it will probably be warm enough for them just to be in a Merino vest top. These wool fleece jackets with a hood (below) are great for keeping the head warm too - and really useful after swimming. On less changeable days, a light jumper is just the thing. I love the Relax jumpers for their lovely colours and light knit and these Disana ones are a wardrobe staple for so many families. Our woolly leggings are warm enough for chilly days but light and breathable enough that your child won't overheat when it gets warmer. These really do seem to be dirt repellent and are tough enough to wear climbing trees etc. 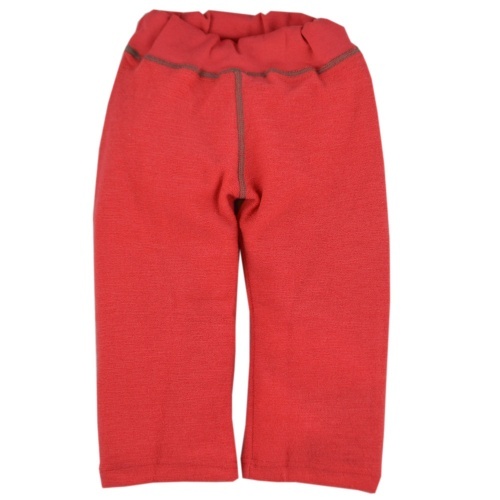 For warmer days or for children who like looser trousers the wool terry ones are fantastic - they even have elastic at the ankles that you can adjust. 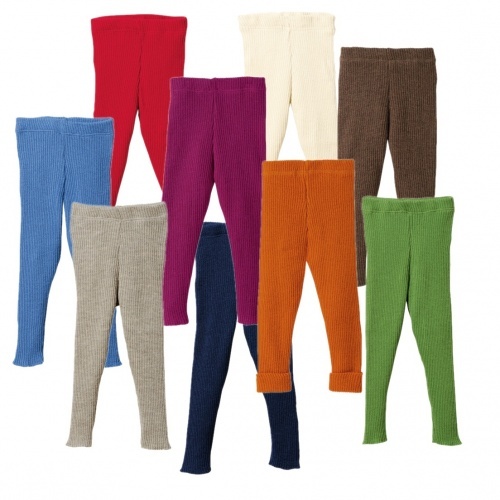 If your child likes wearing leggings these wool silk ones are naturally breathable. Perfect for spring weather or to layer under other trousers on Spring ski trips. The sun can already be quite strong in spring time. 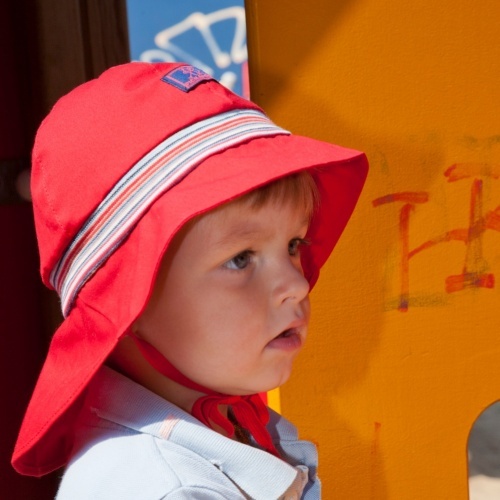 An organic cotton sun hat that stays on will protect your little ones face from the sun and make them more comfortable. If you choose a sunhat with natural UV resistance, you know that your child's skin is getting extra protection too, all without harmful chemicals. If you have tips to share for Spring dressing, do let us know. This entry was posted on Wednesday, March 11th, 2015 at 1:26 pm	and is filed under dressing your baby. You can follow any responses to this entry through the RSS 2.0 feed. You can leave a response, or trackback from your own site.